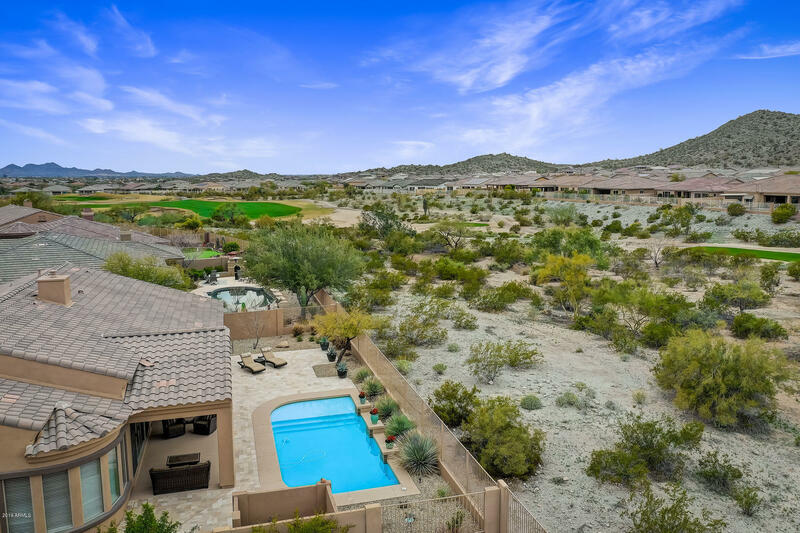 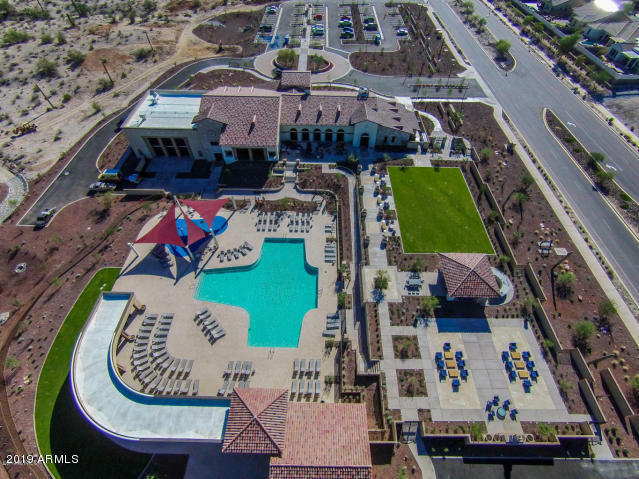 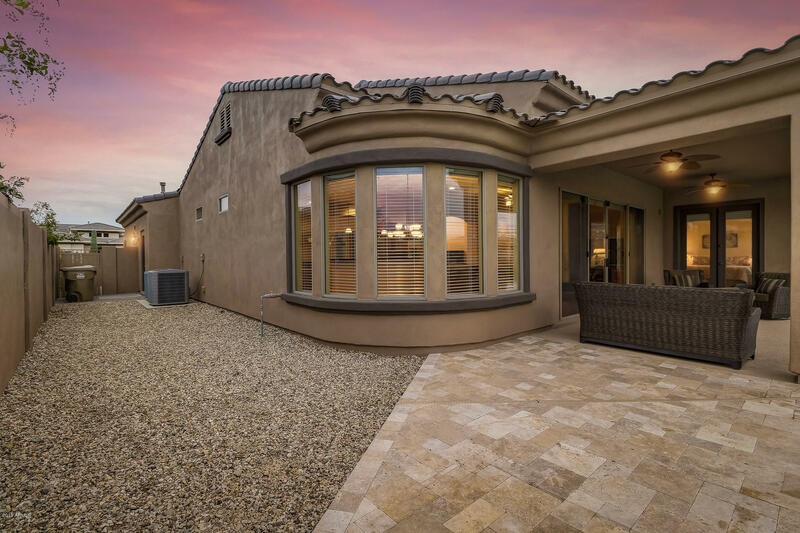 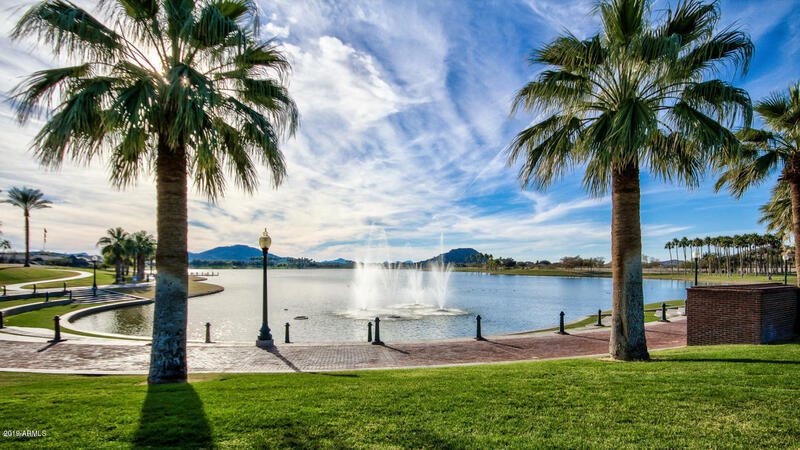 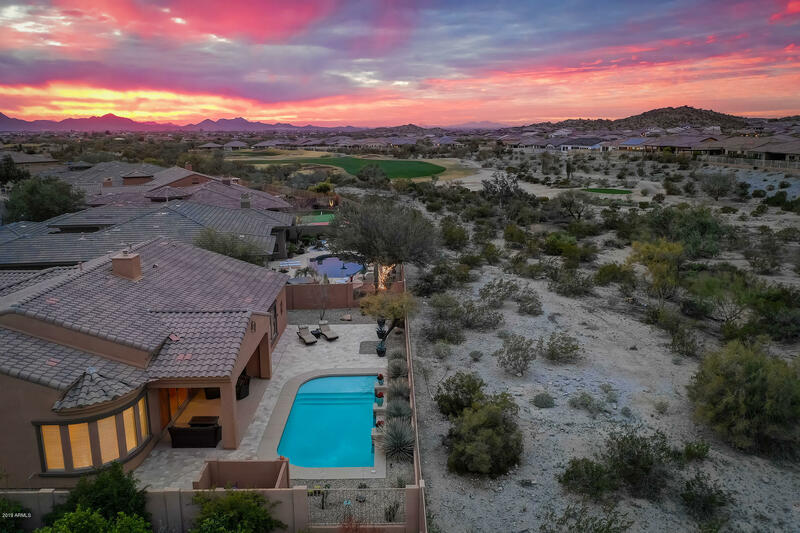 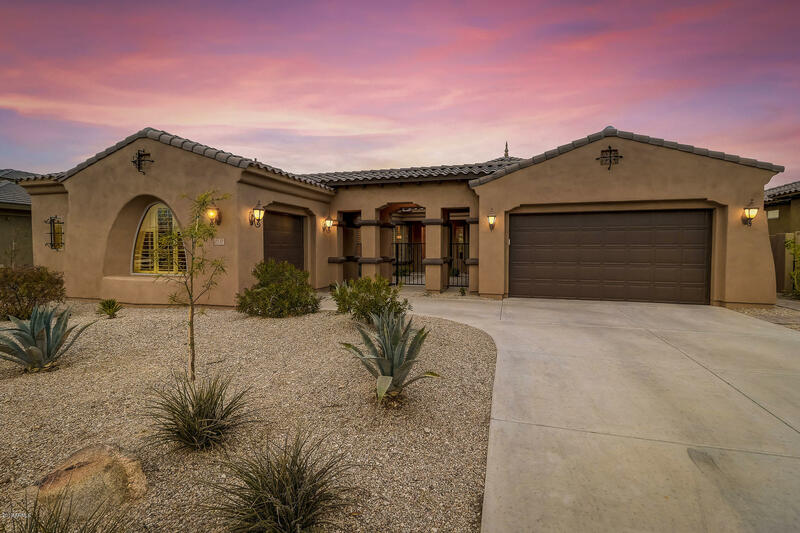 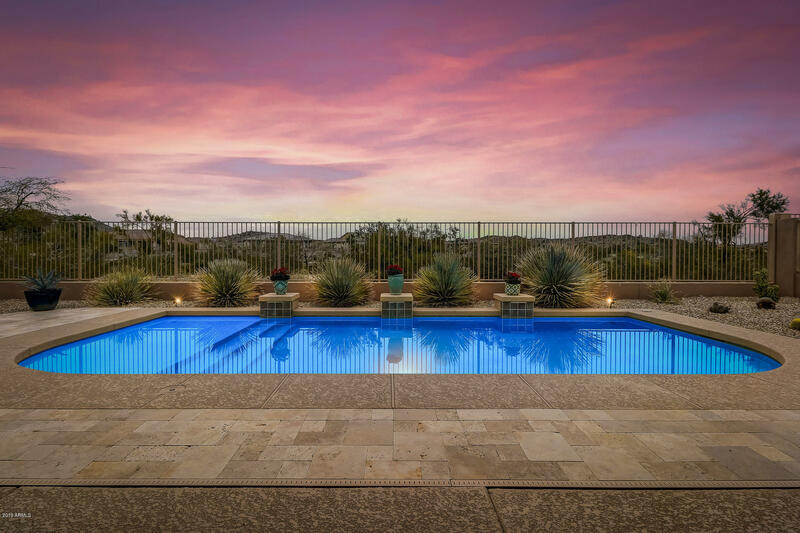 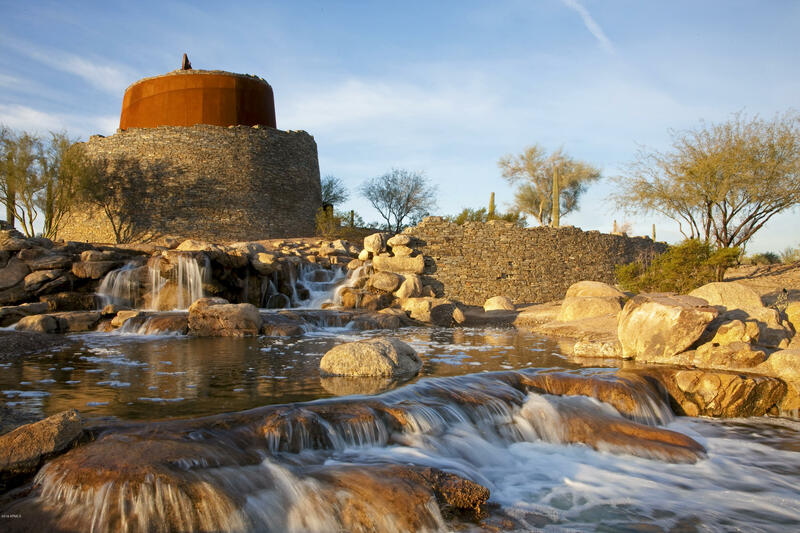 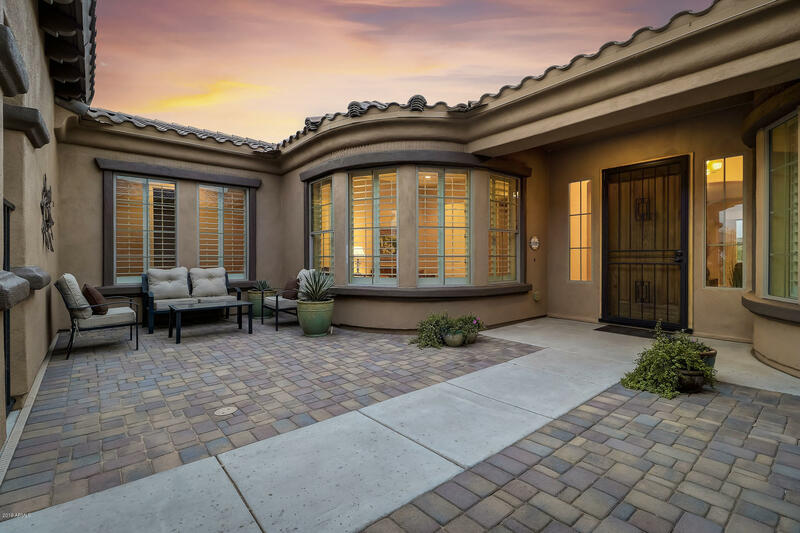 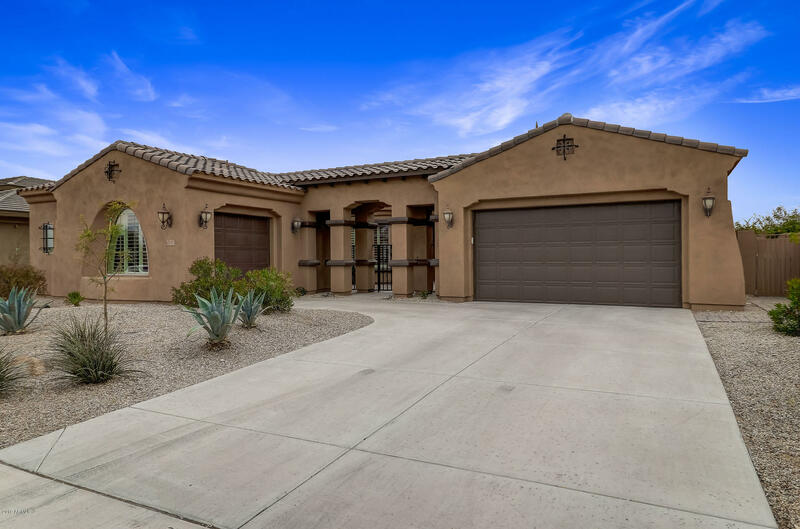 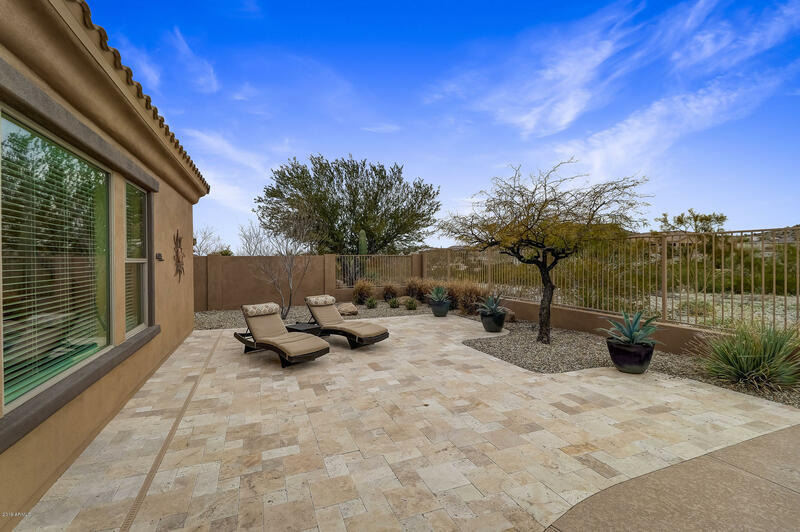 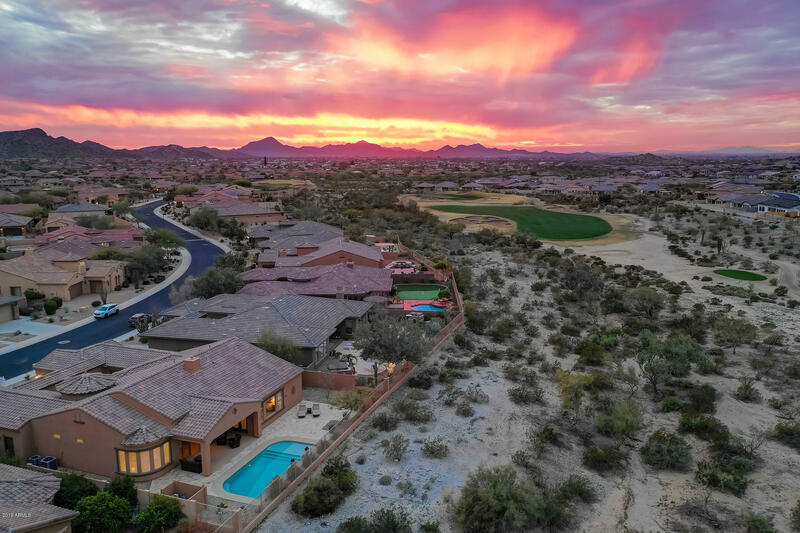 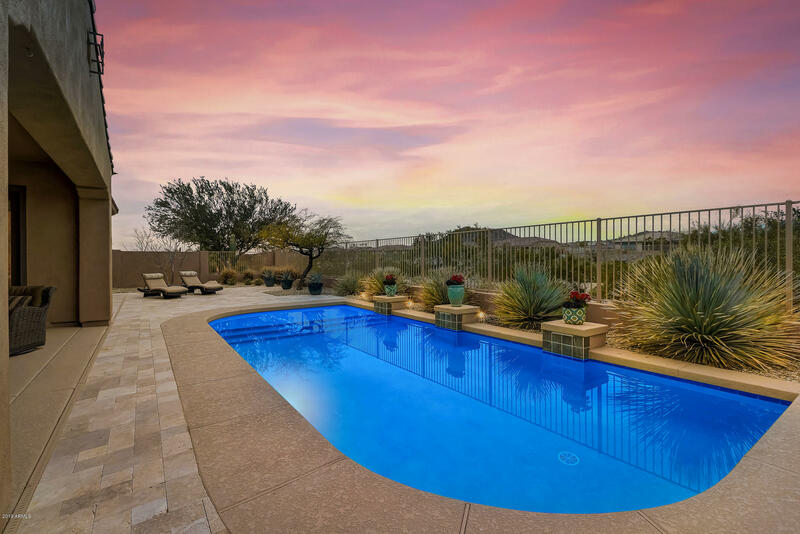 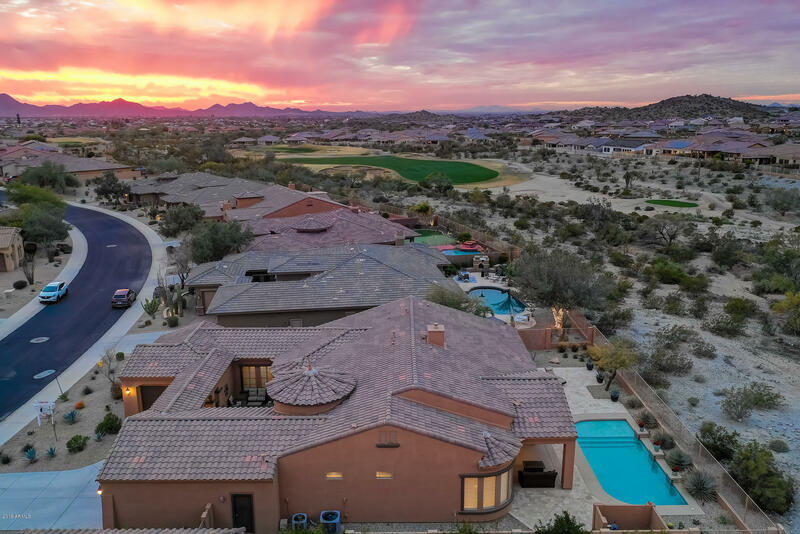 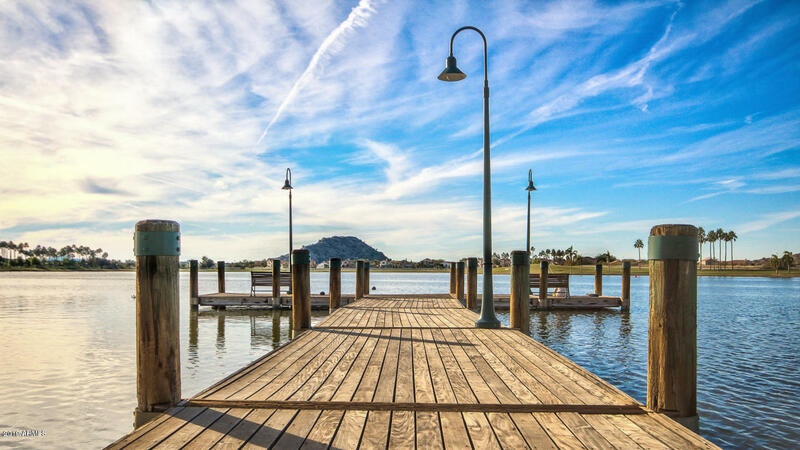 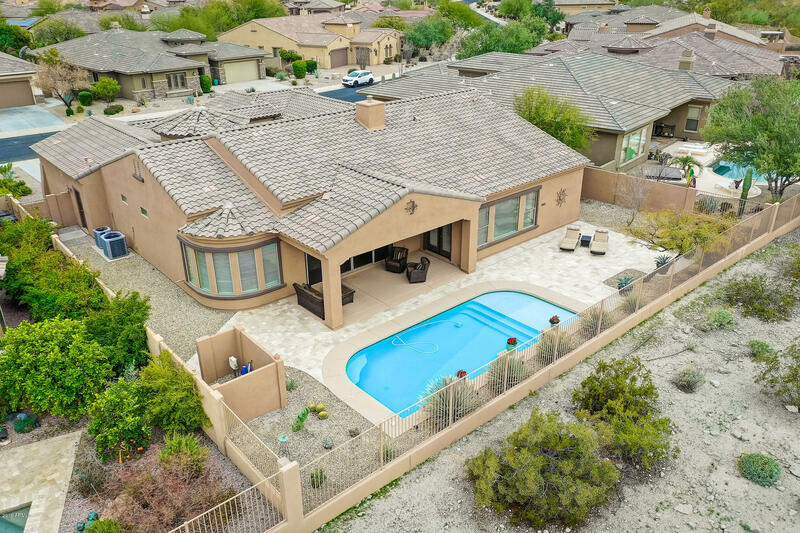 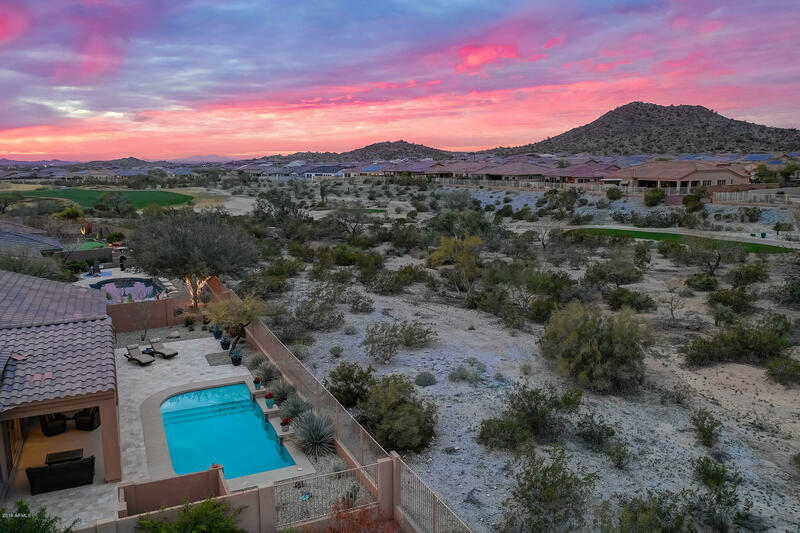 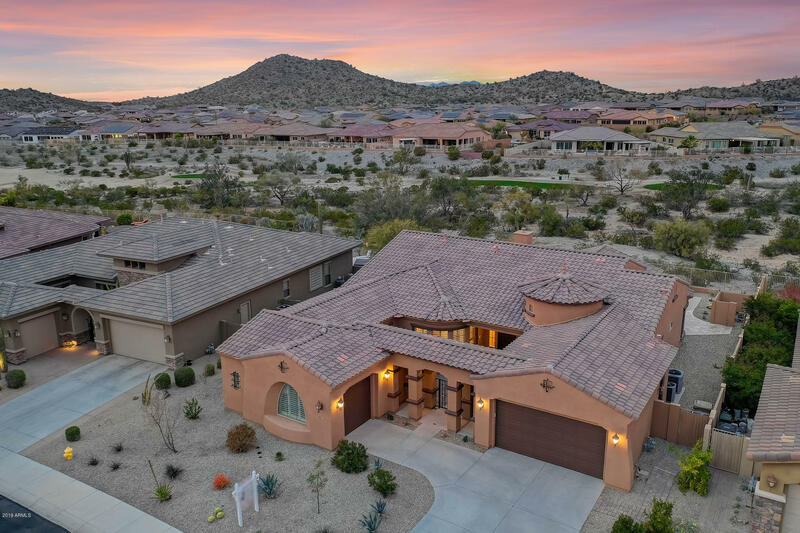 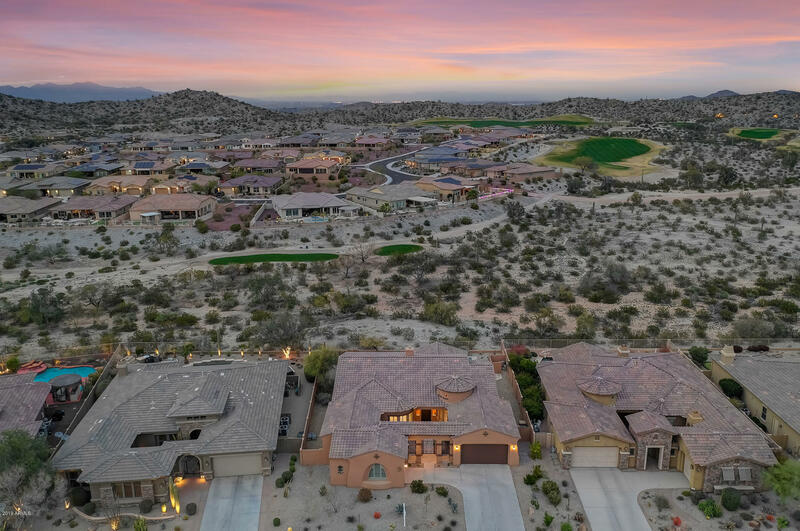 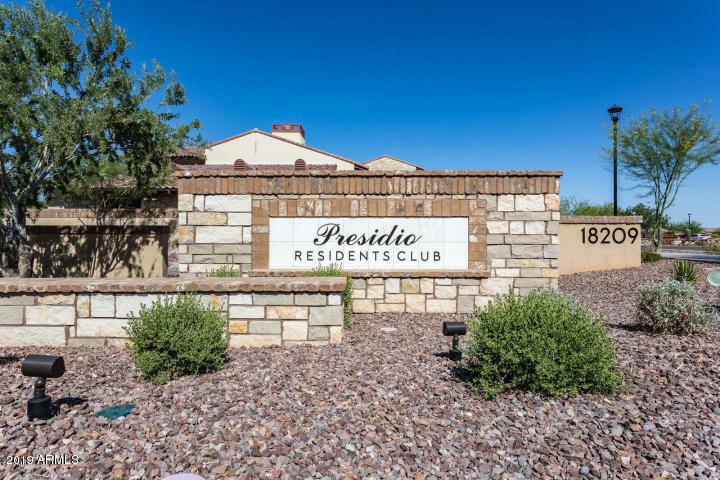 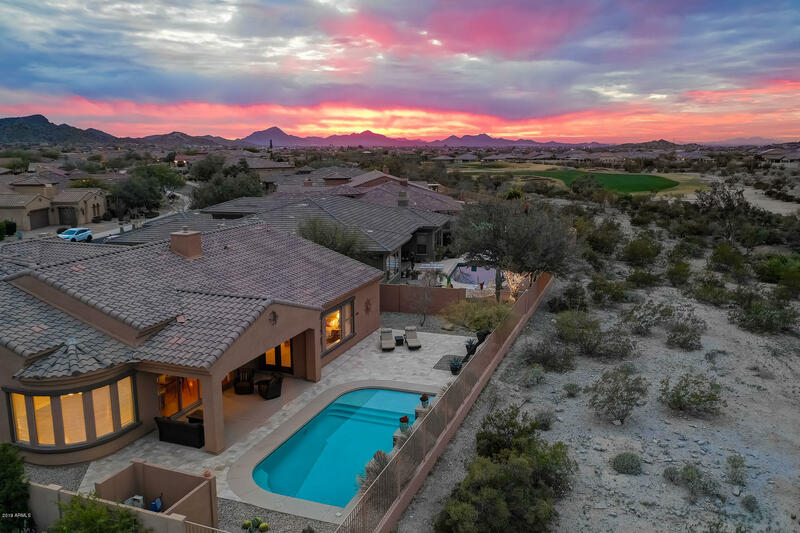 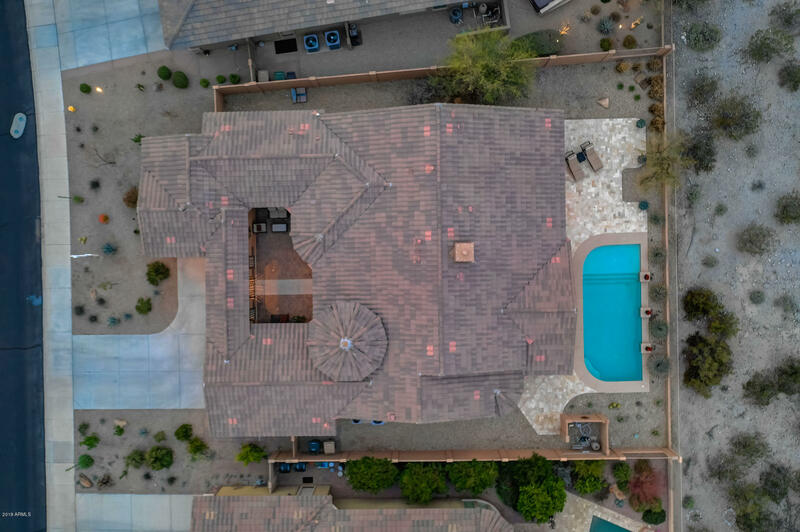 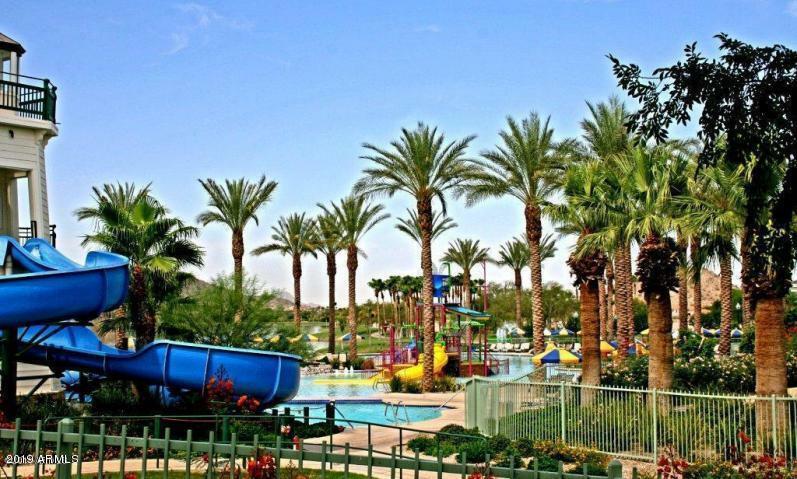 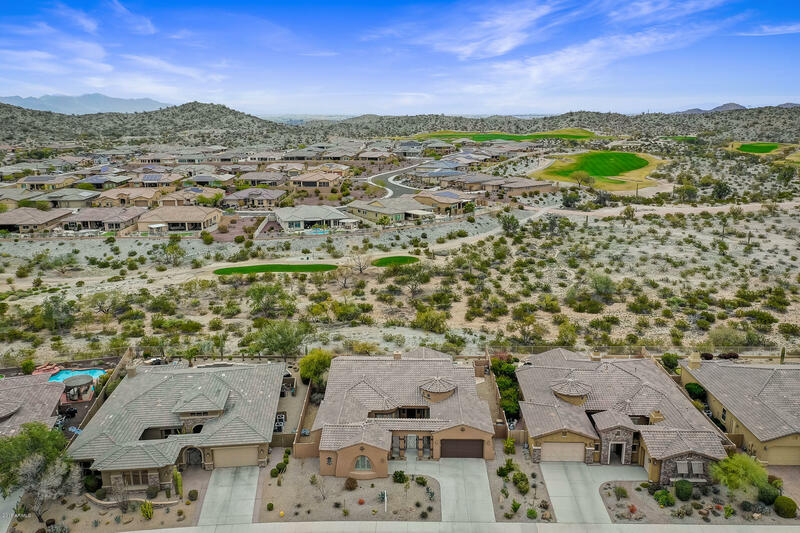 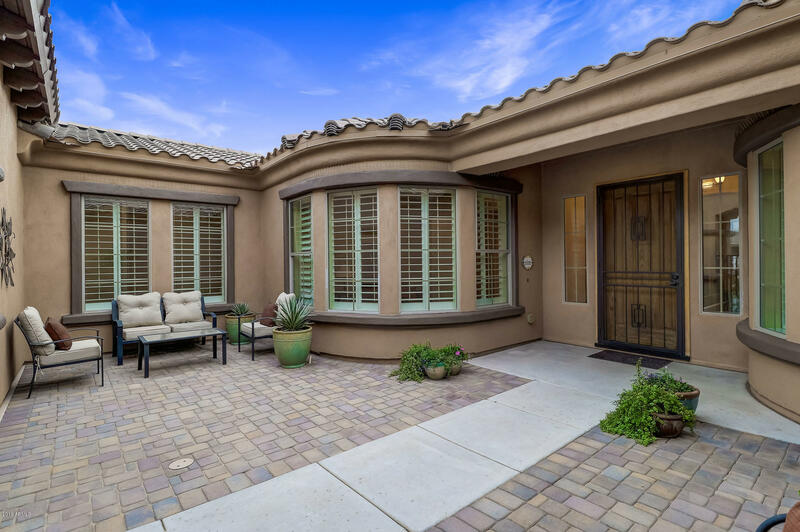 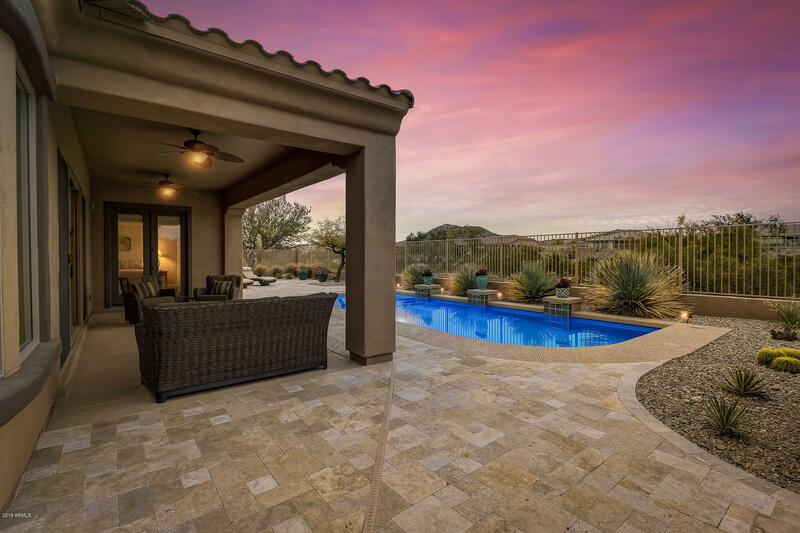 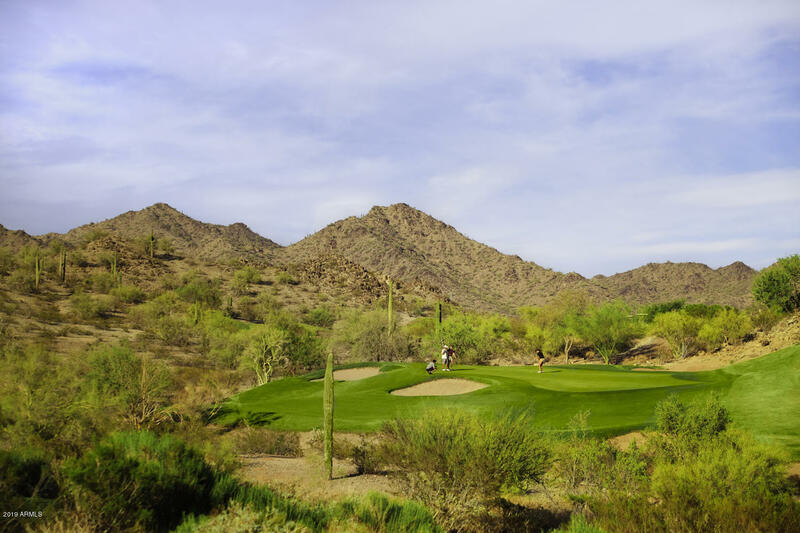 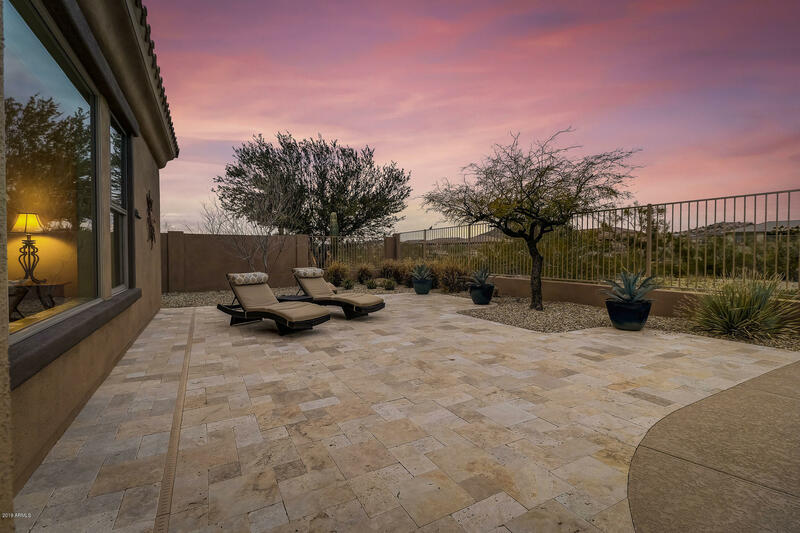 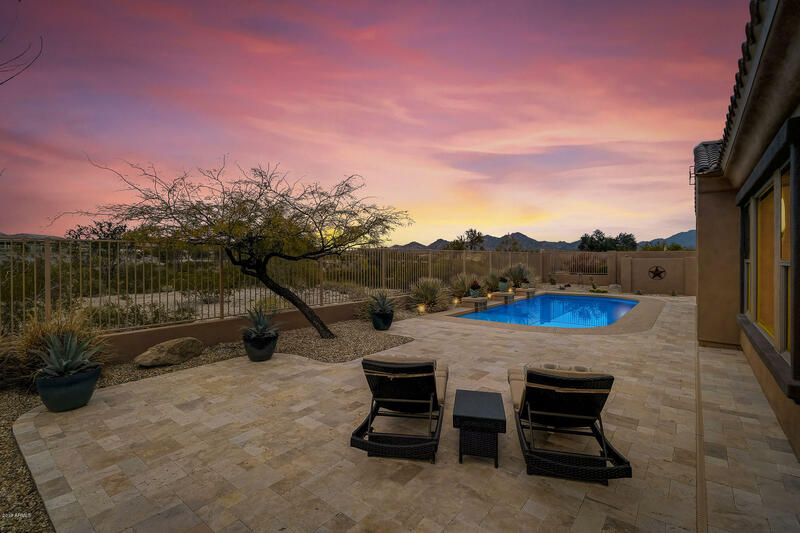 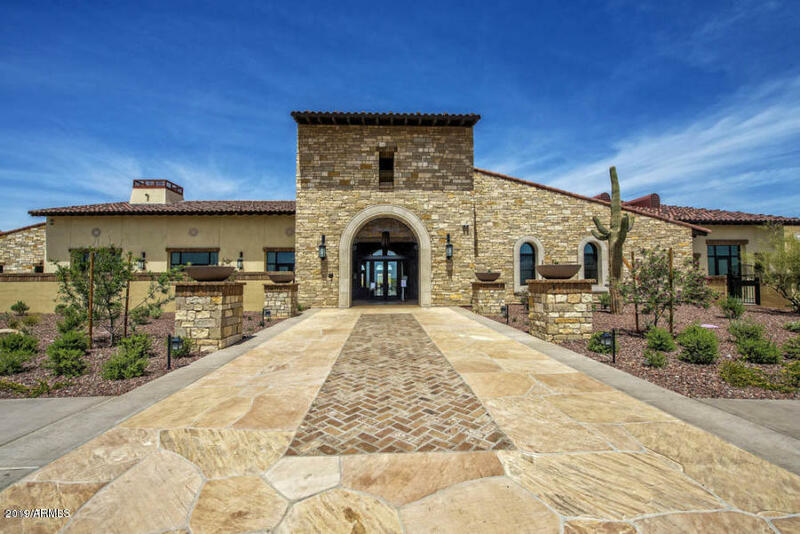 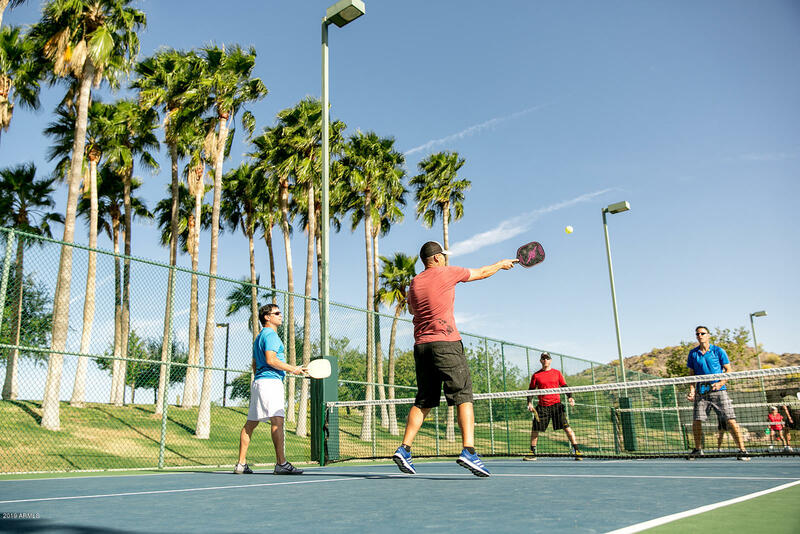 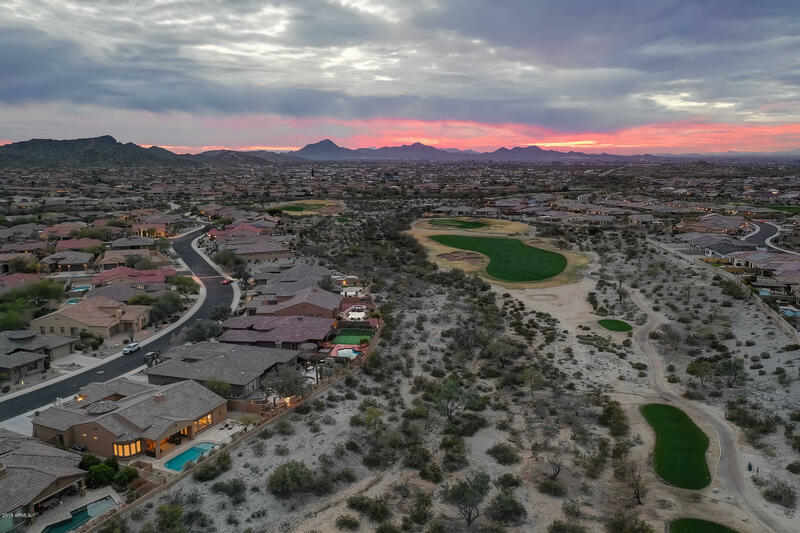 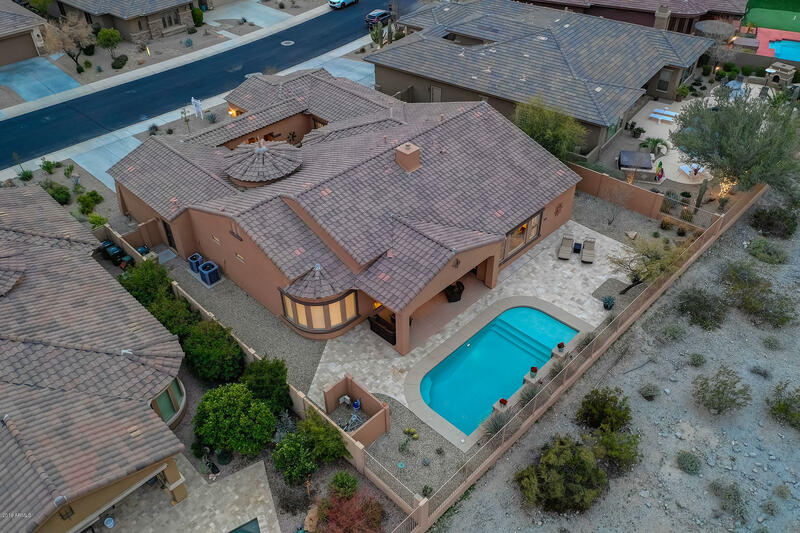 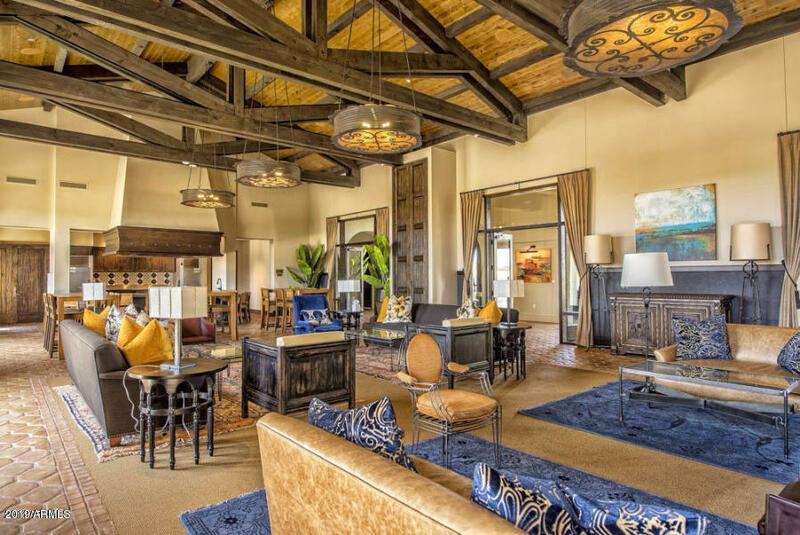 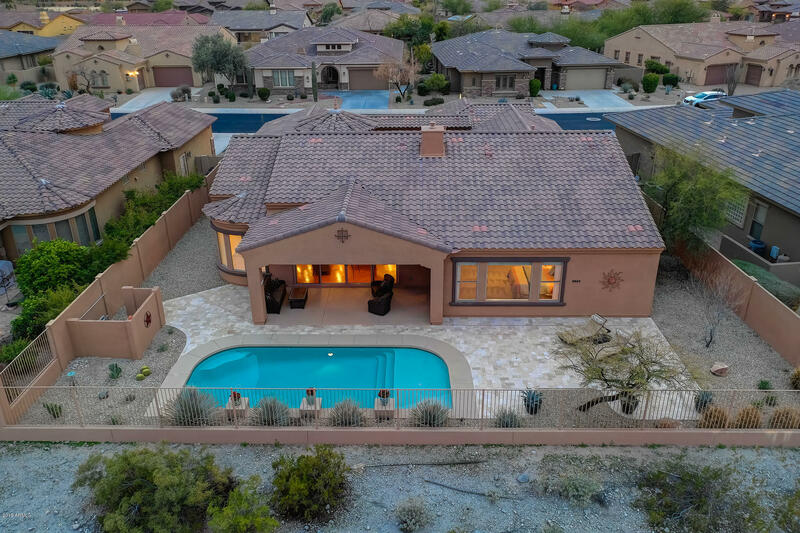 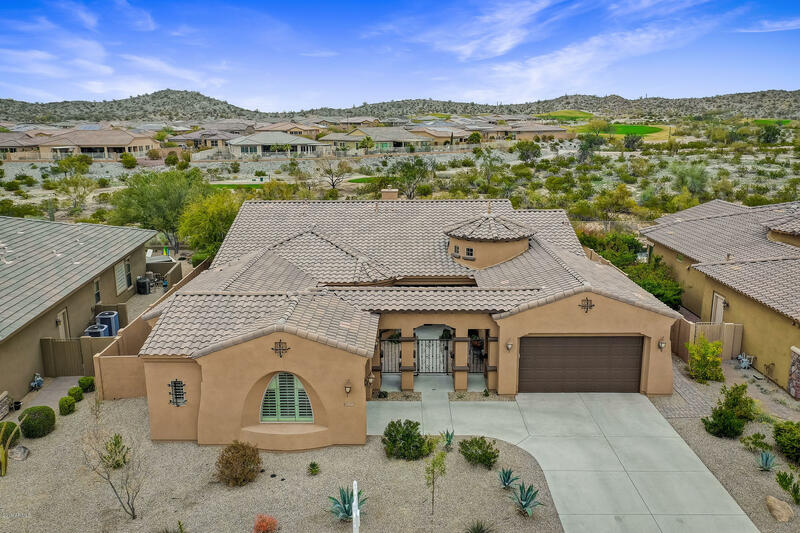 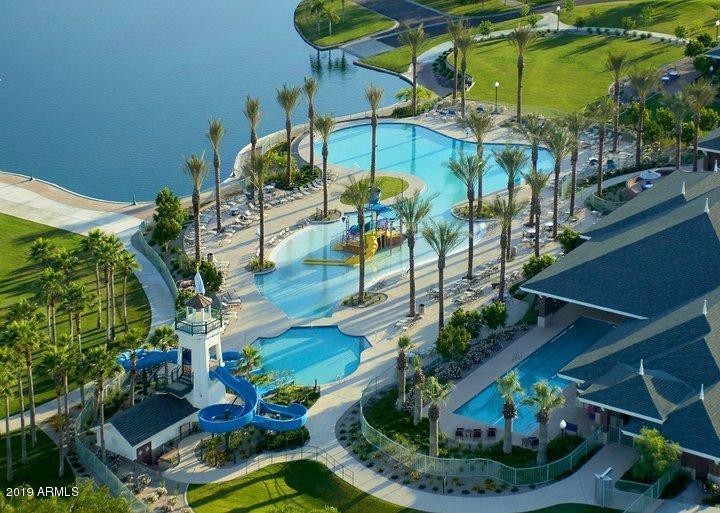 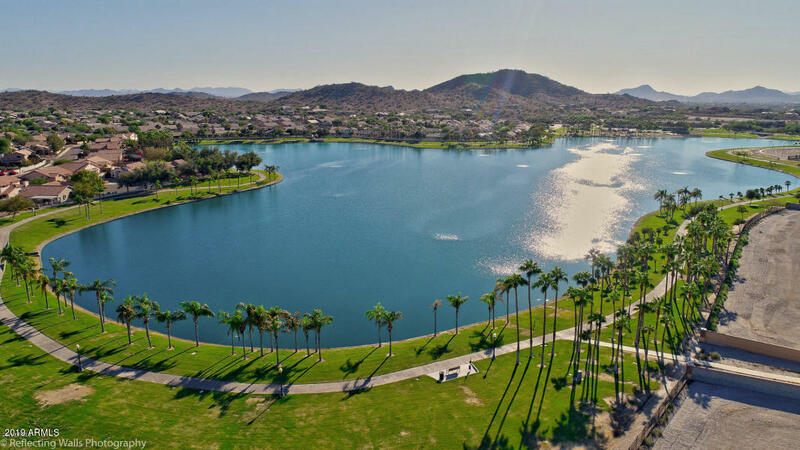 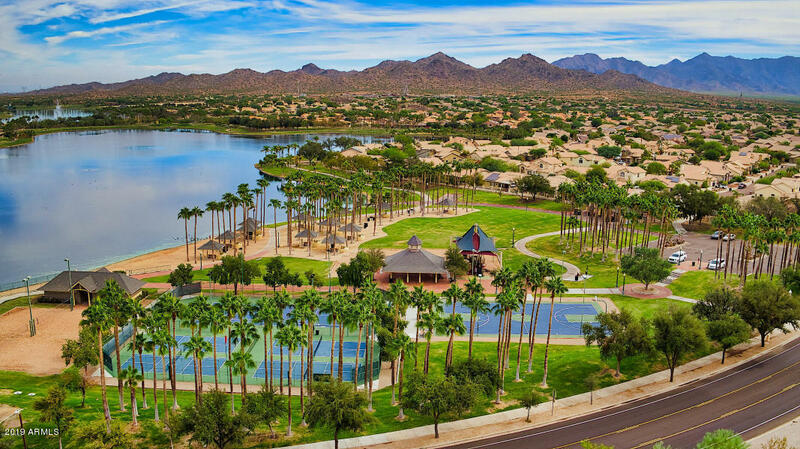 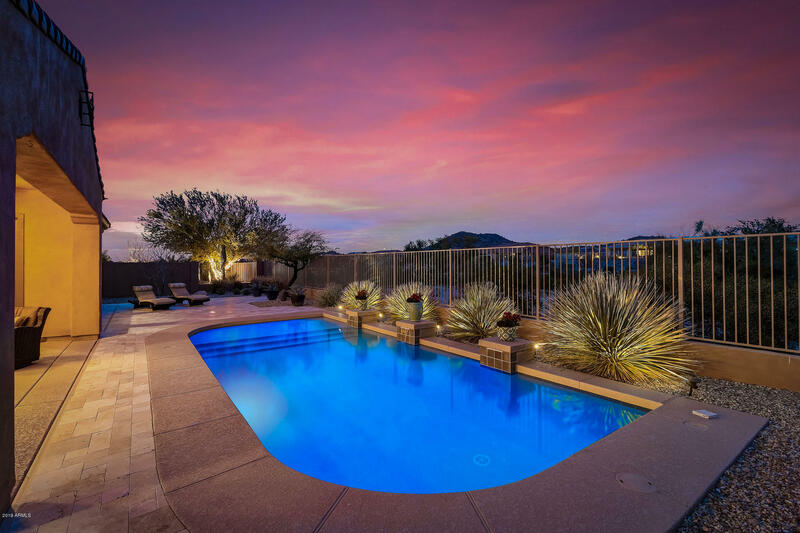 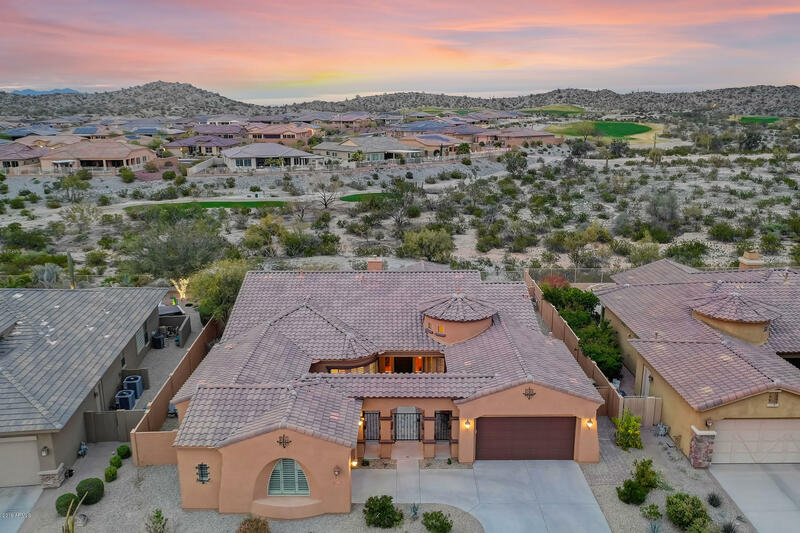 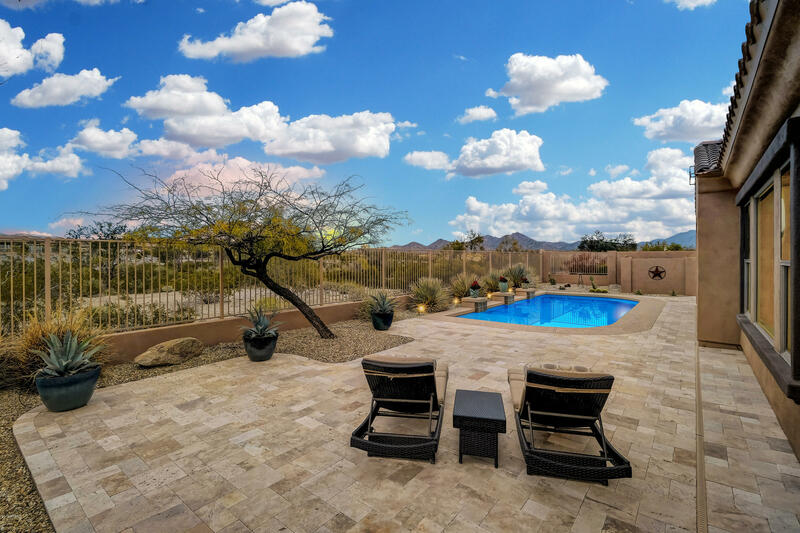 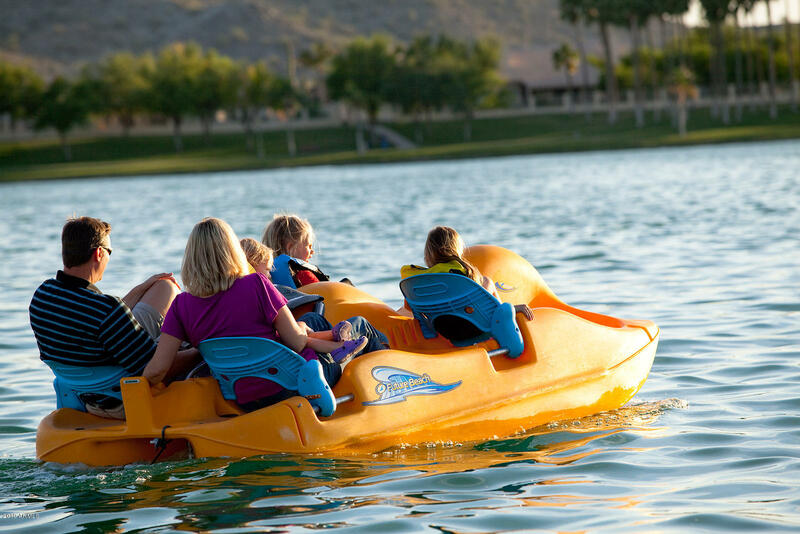 Located on a private gated golf course in the Fairways, enjoy outdoor living with superb mountain views & mature desert landscape. 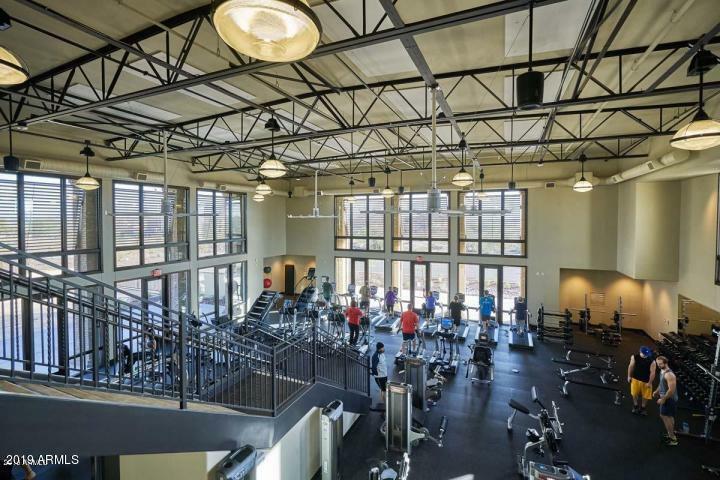 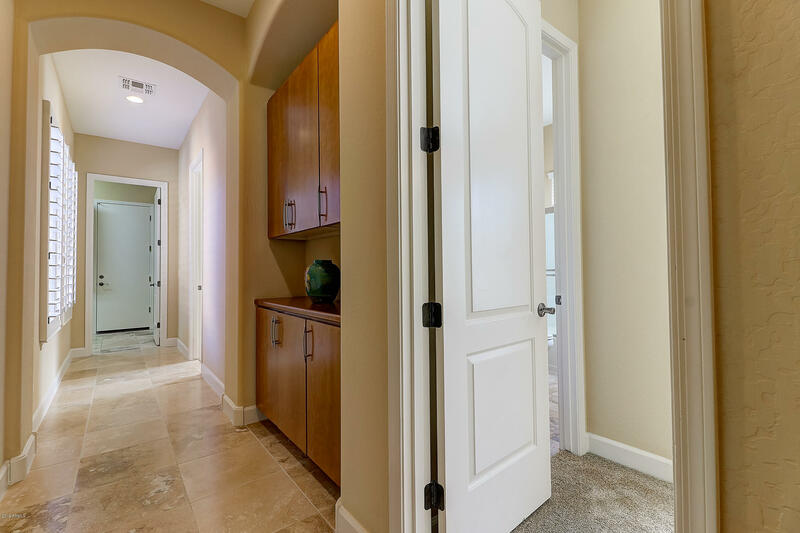 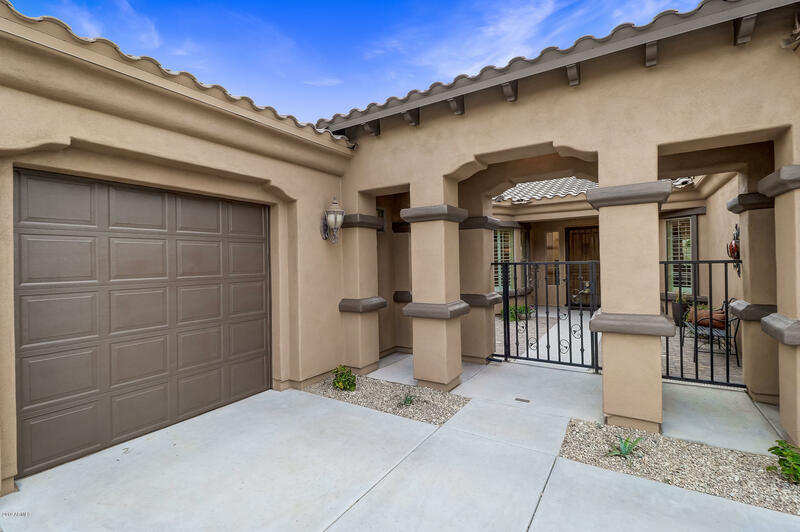 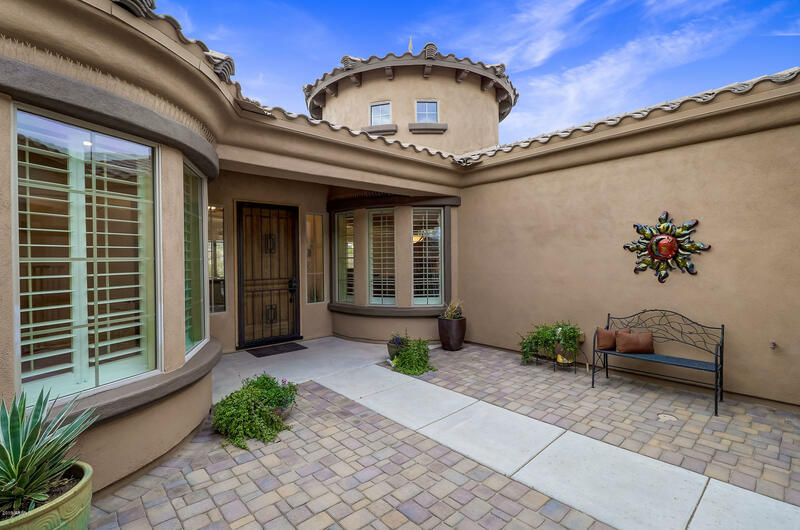 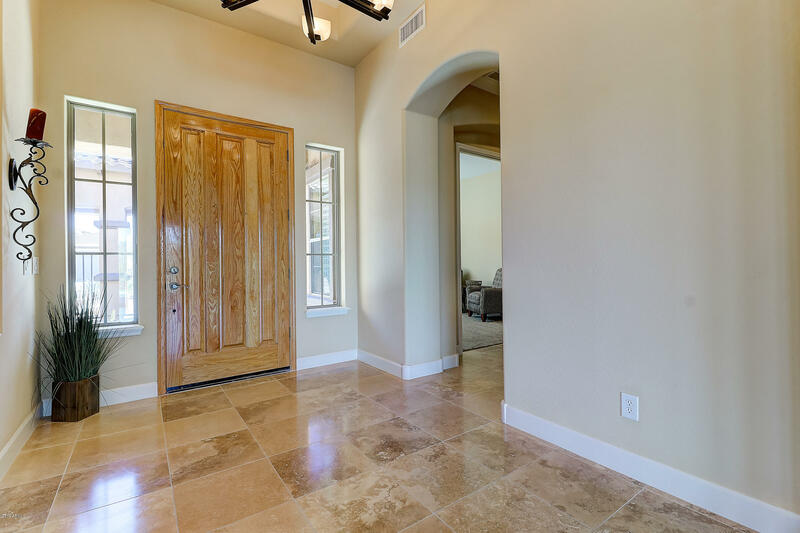 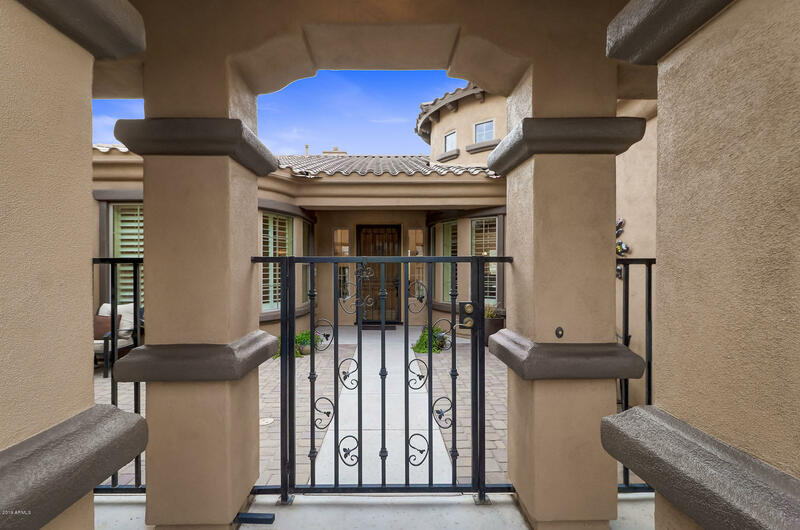 The private courtyard wrought iron portico doors welcome you in this stunning home with designer finishes: arched entry's, art niches, & media wall with gas fire place. 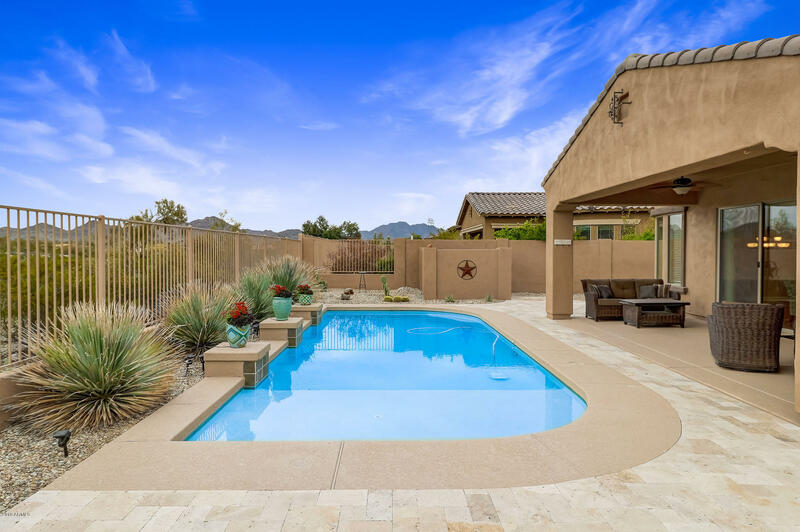 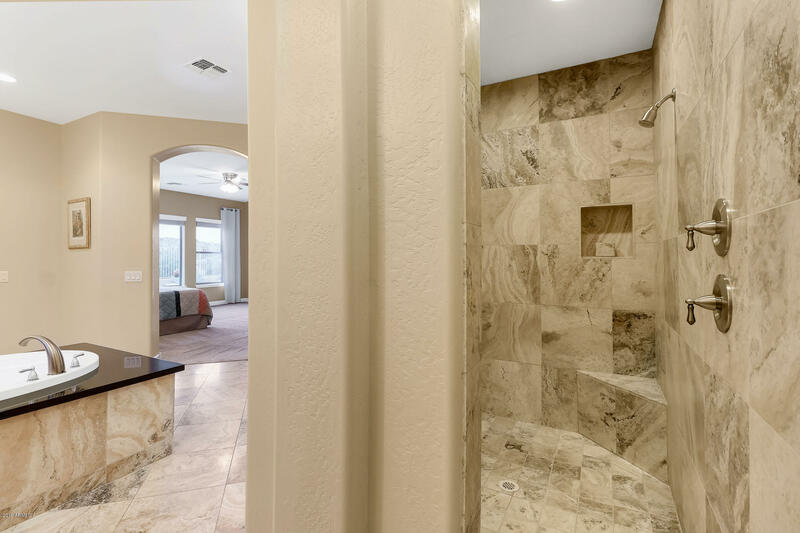 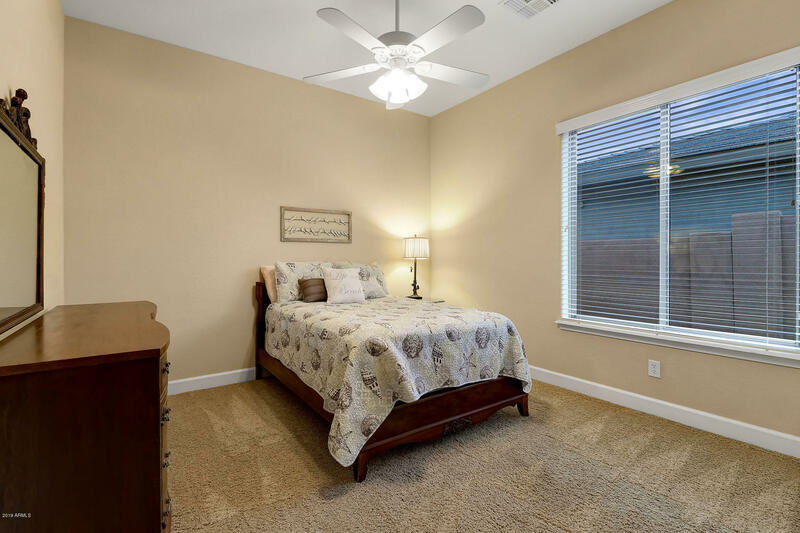 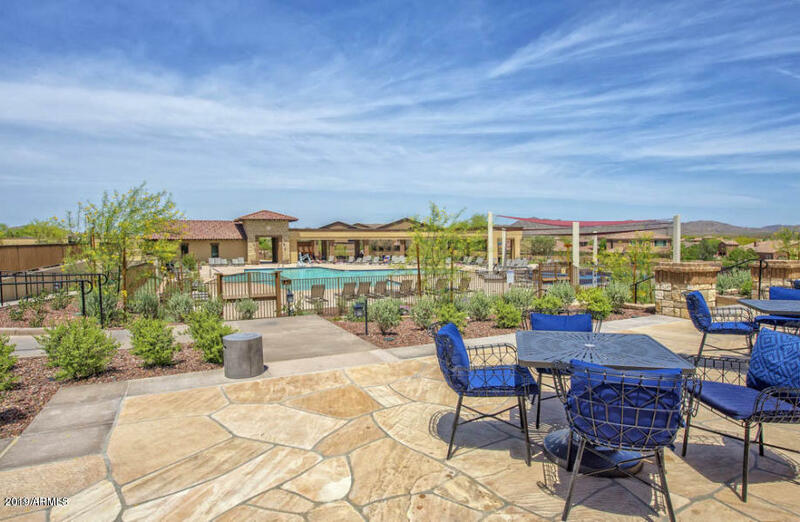 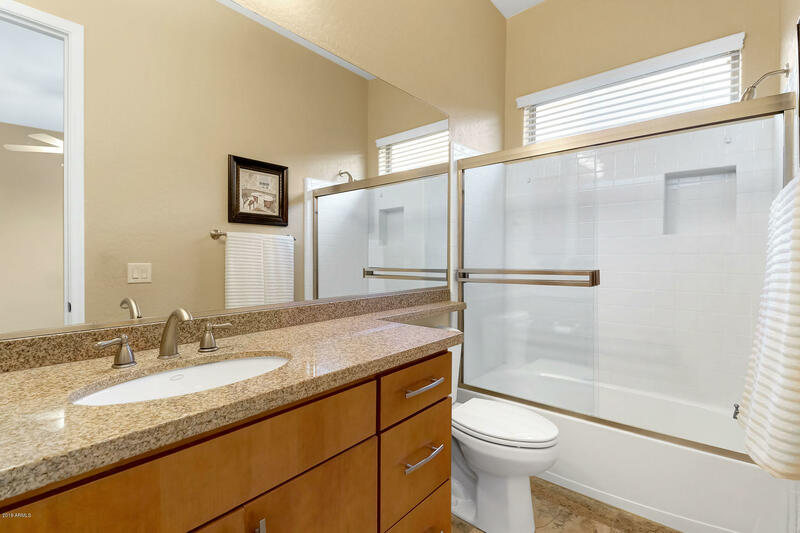 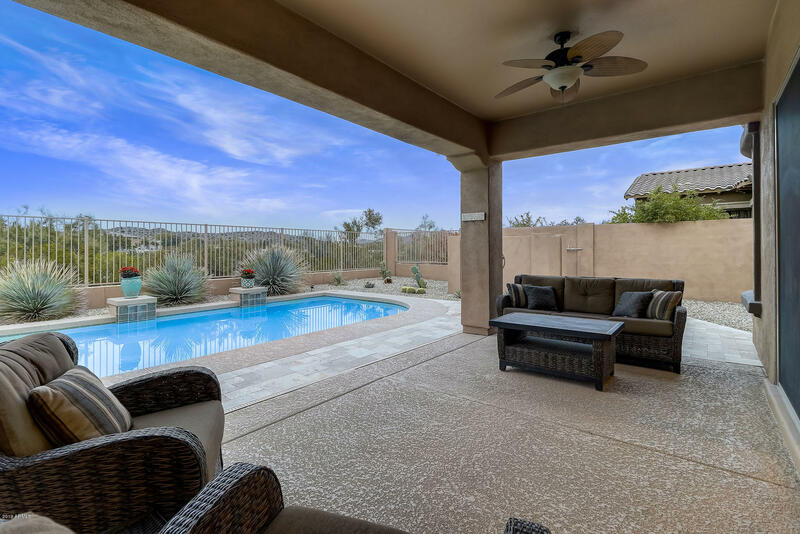 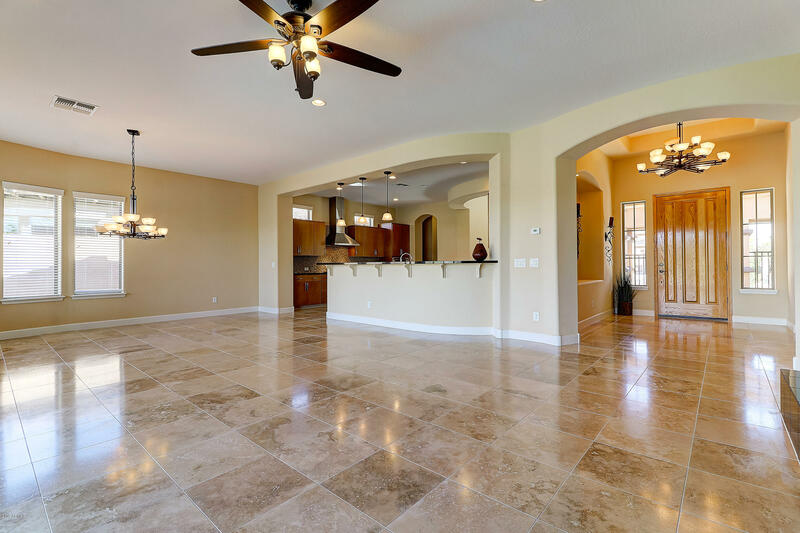 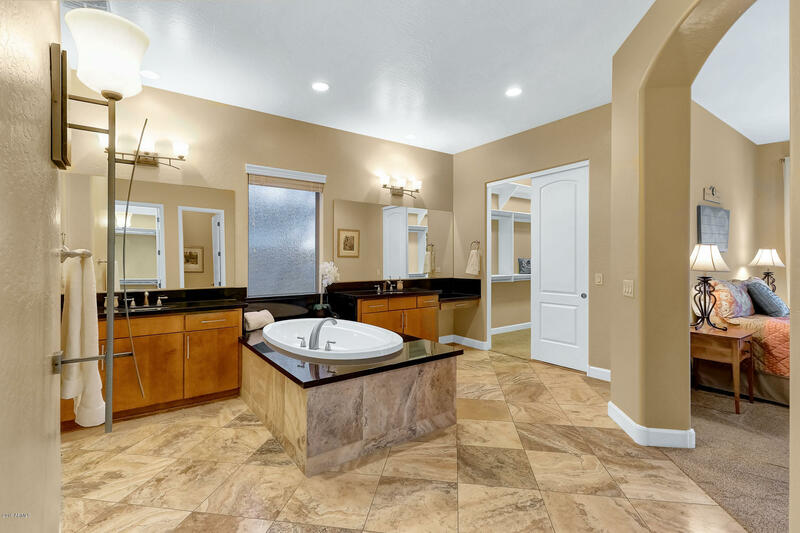 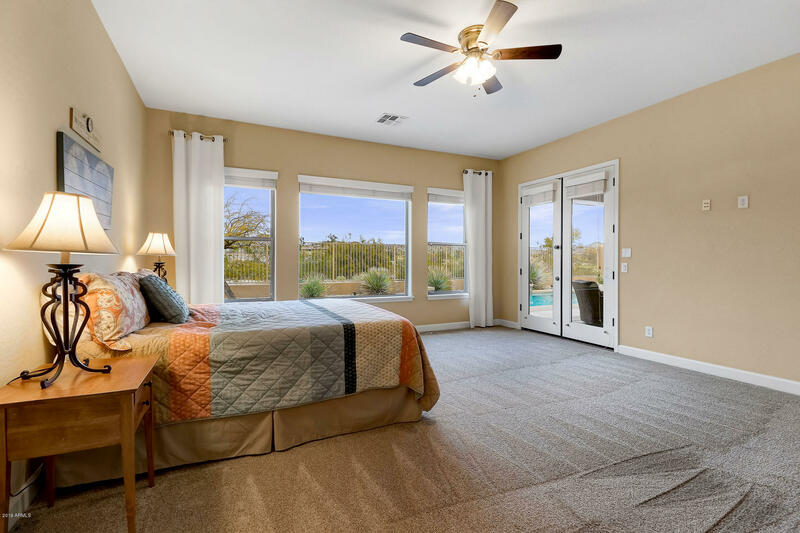 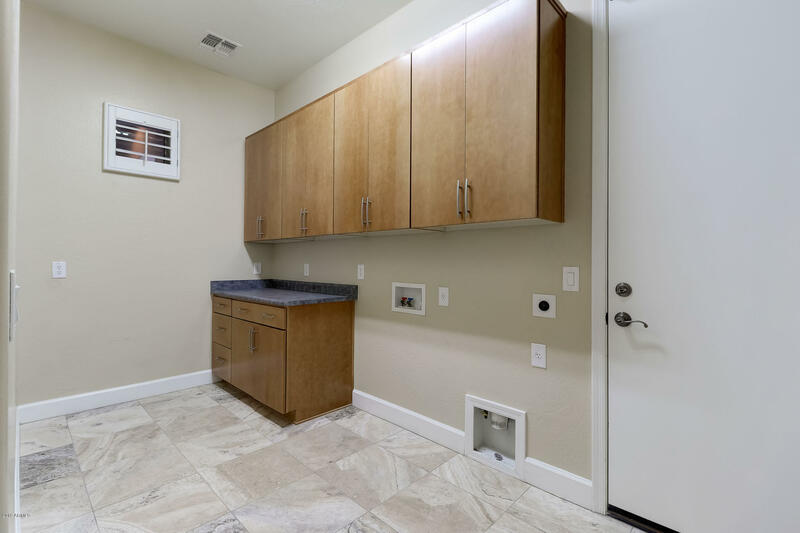 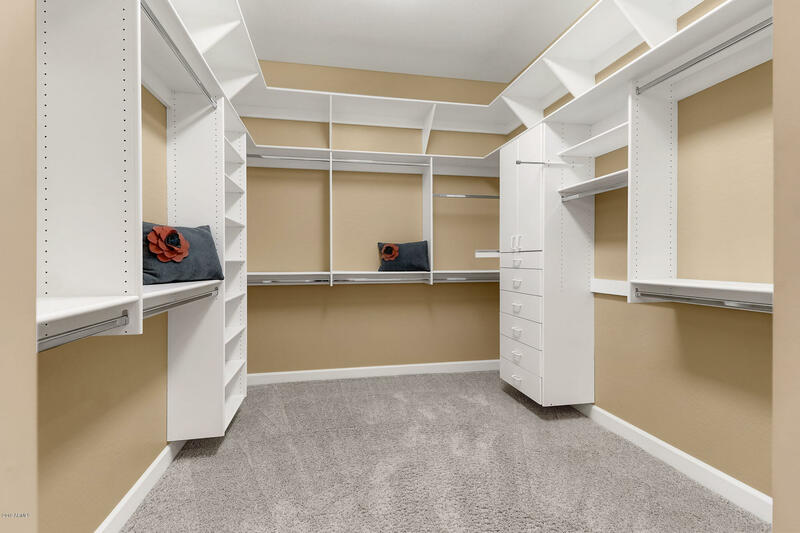 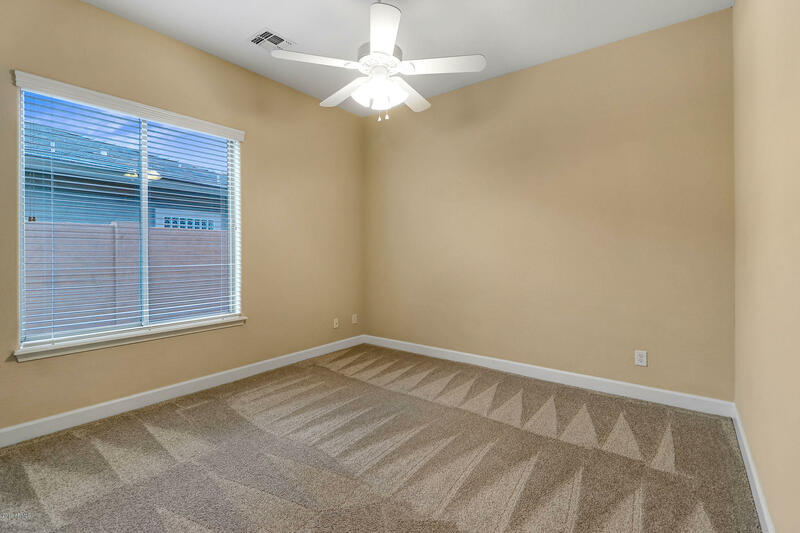 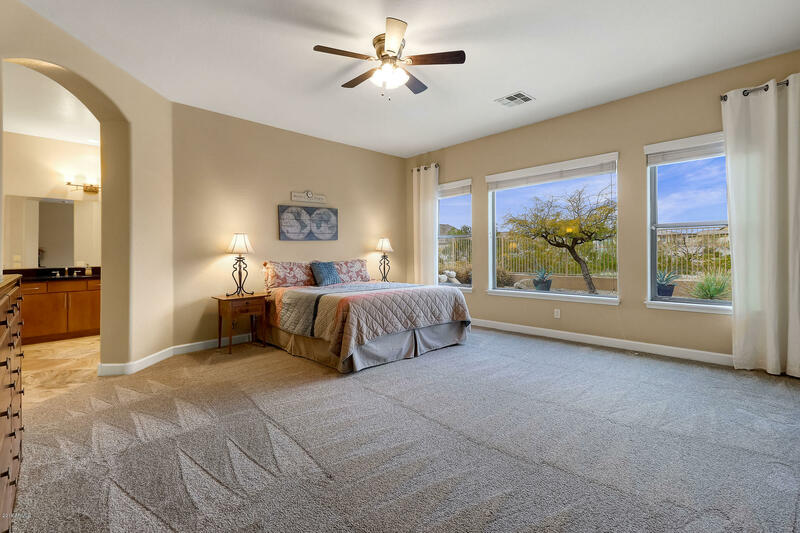 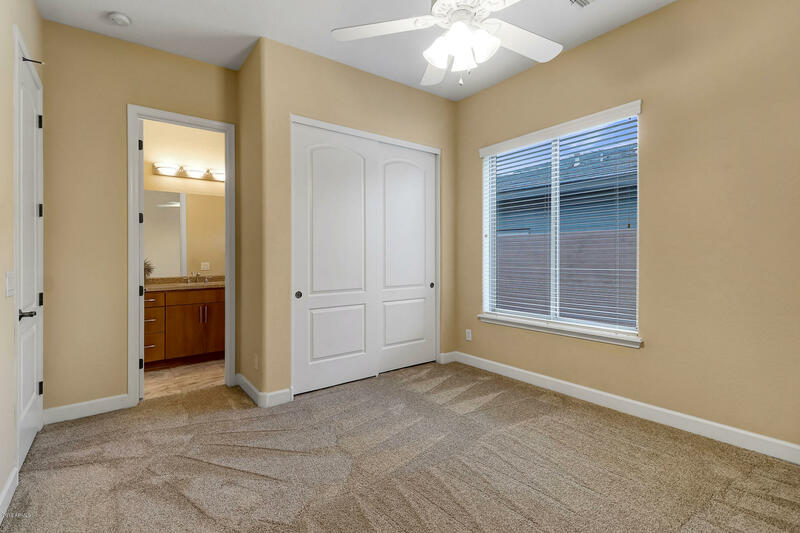 Over $70k in recent upgrades including 1900 sq ft of new travertine to plush carpet, extended patio around the pool, new dishwasher, fresh exterior paint & more. 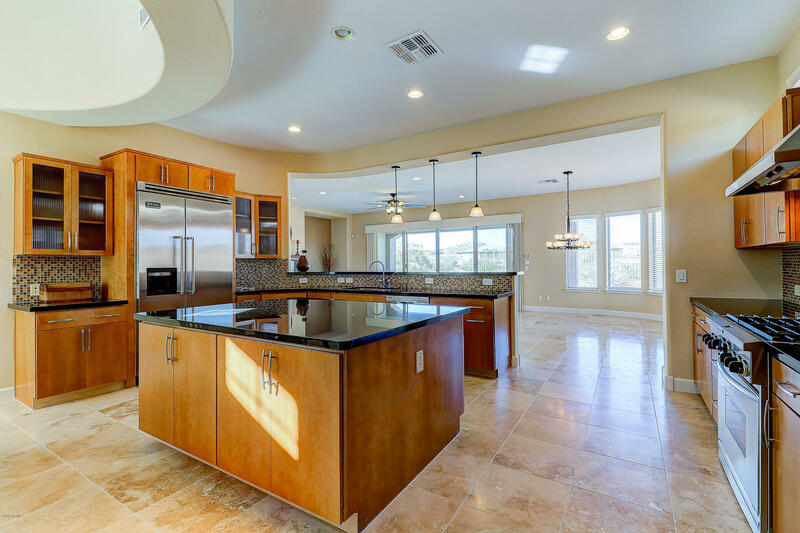 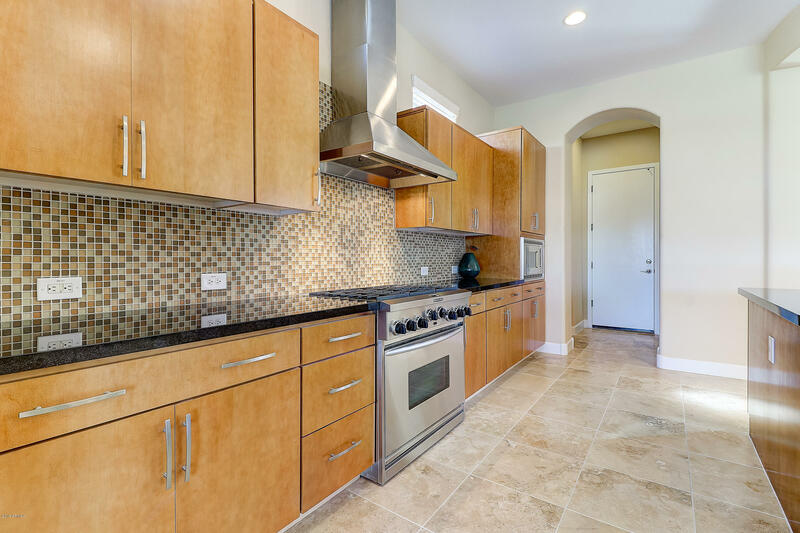 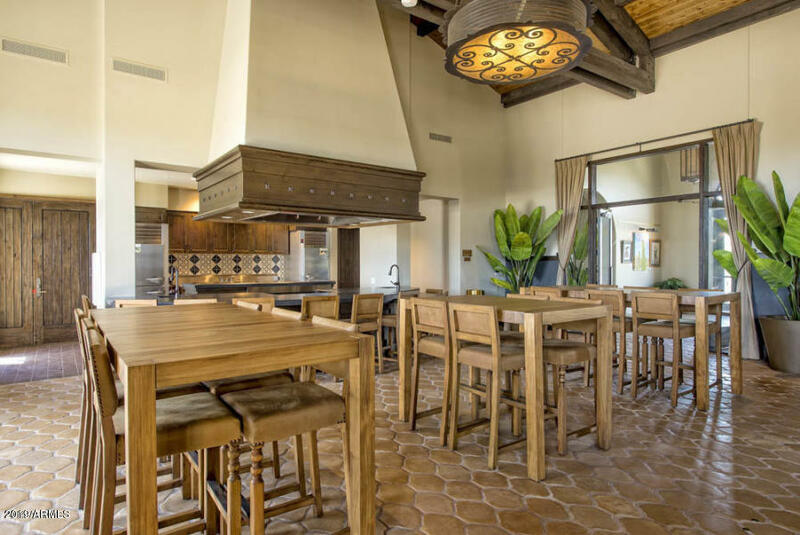 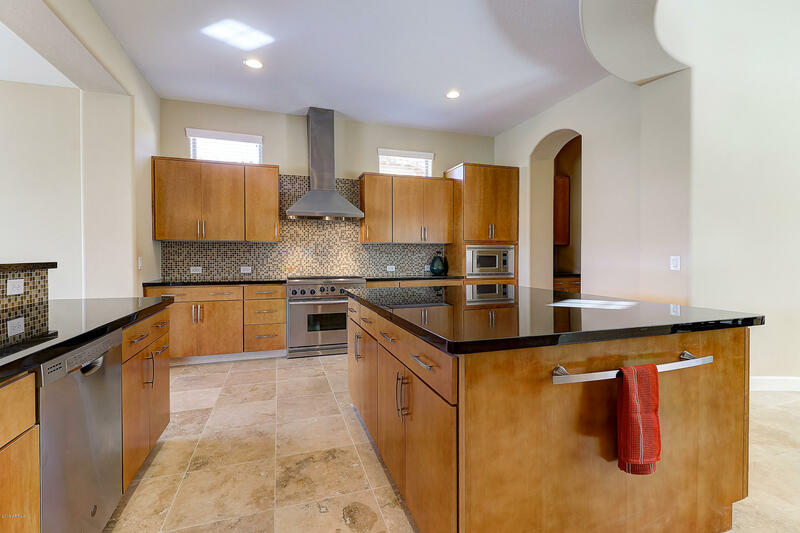 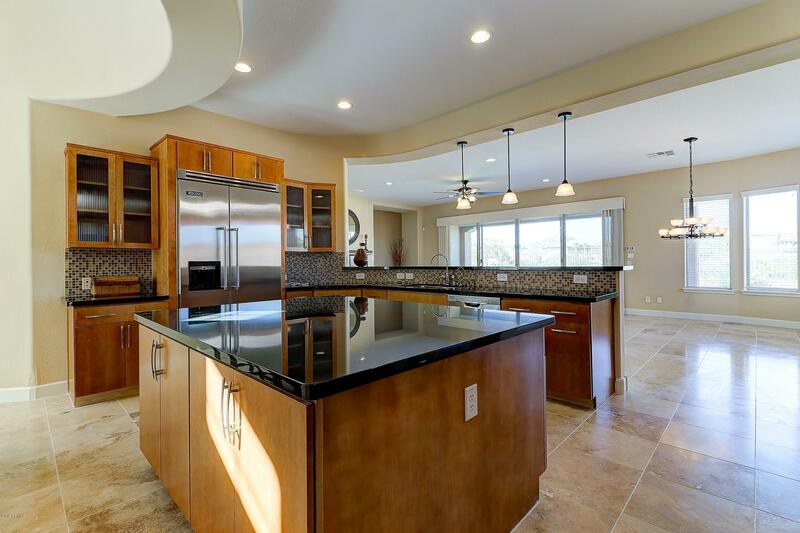 The kitchen is an entertainers dream w/ Viking appliances, over-sized island for entertaining & breakfast nook with courtyard view. 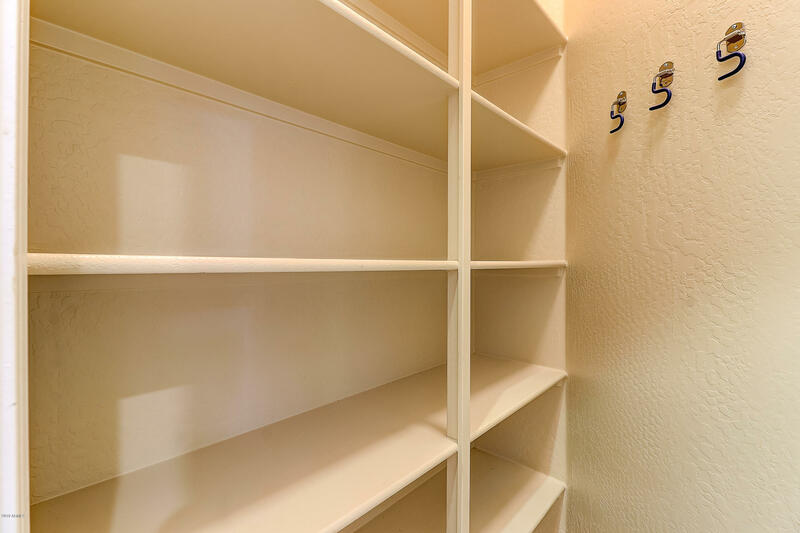 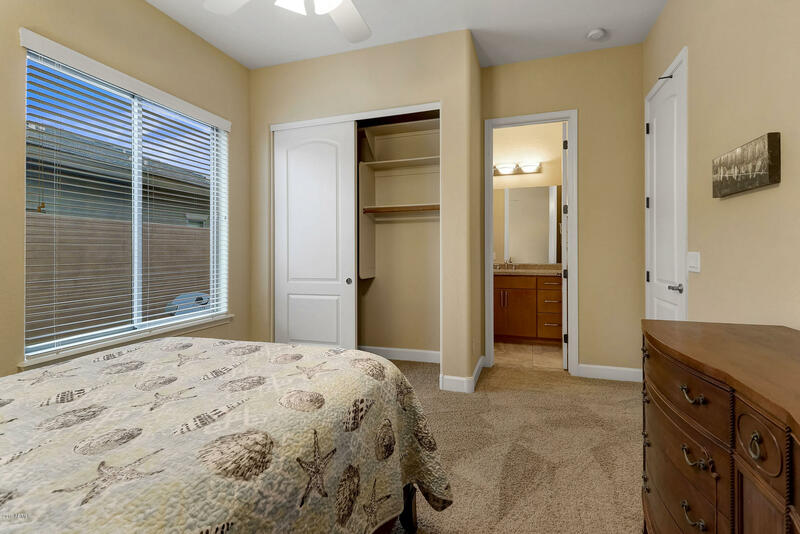 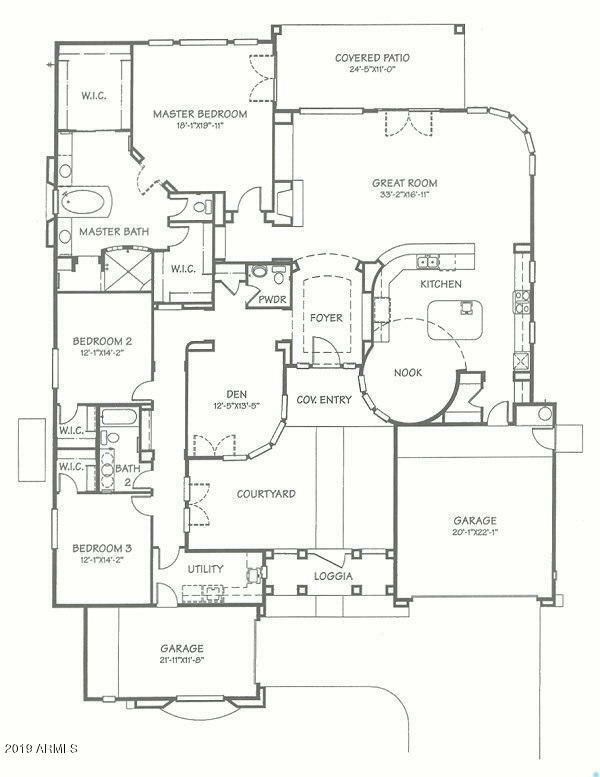 3 Large bedrooms with ensuite bath + den/4th room. 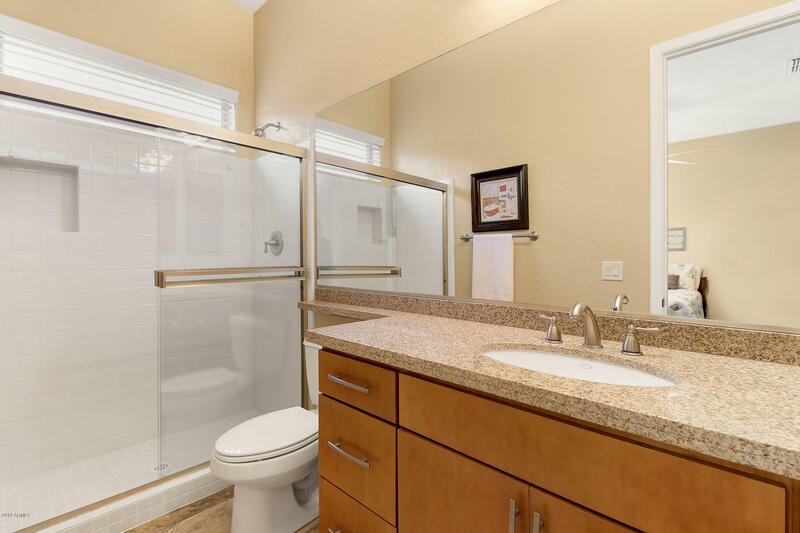 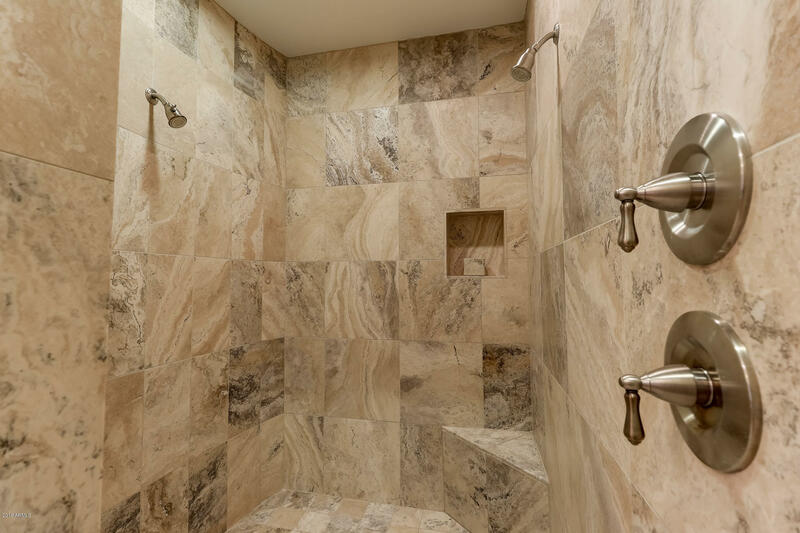 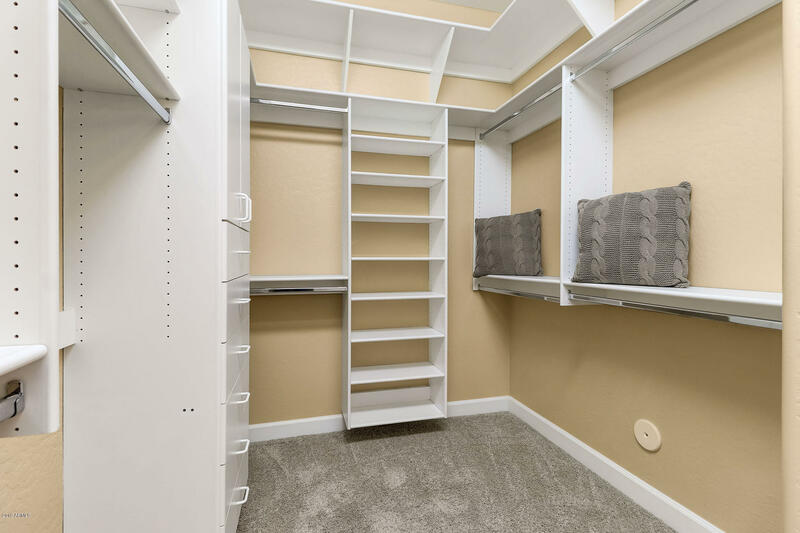 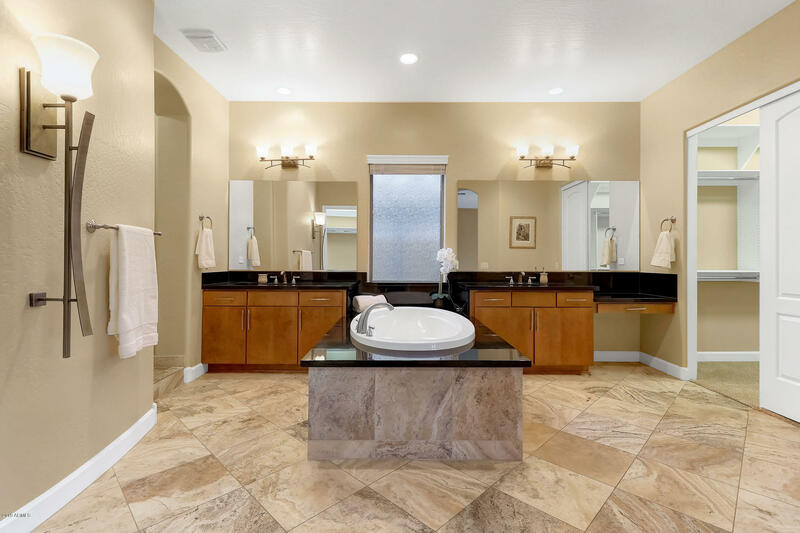 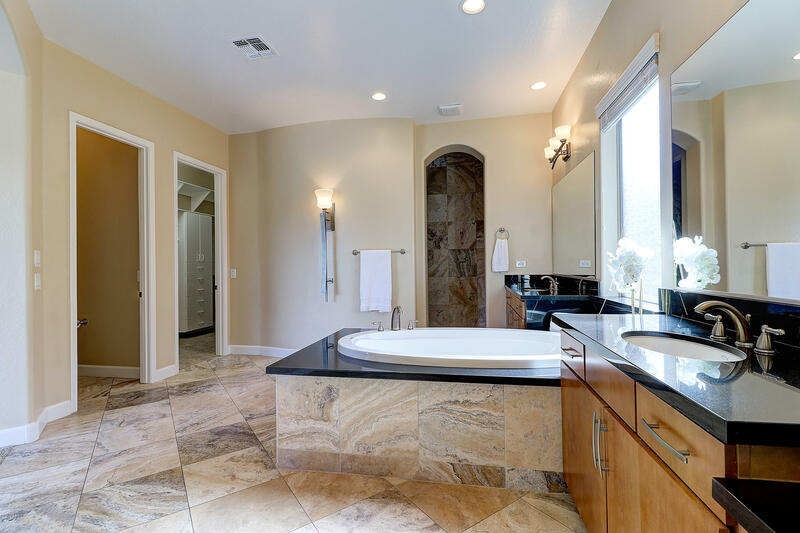 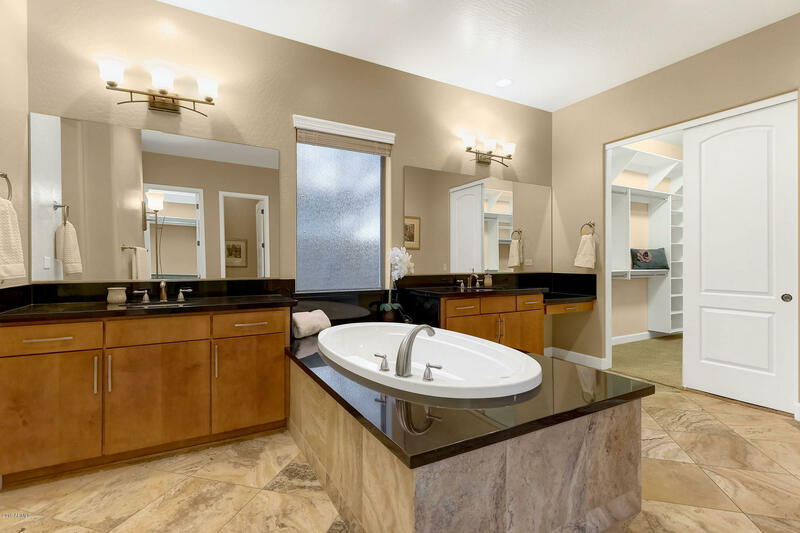 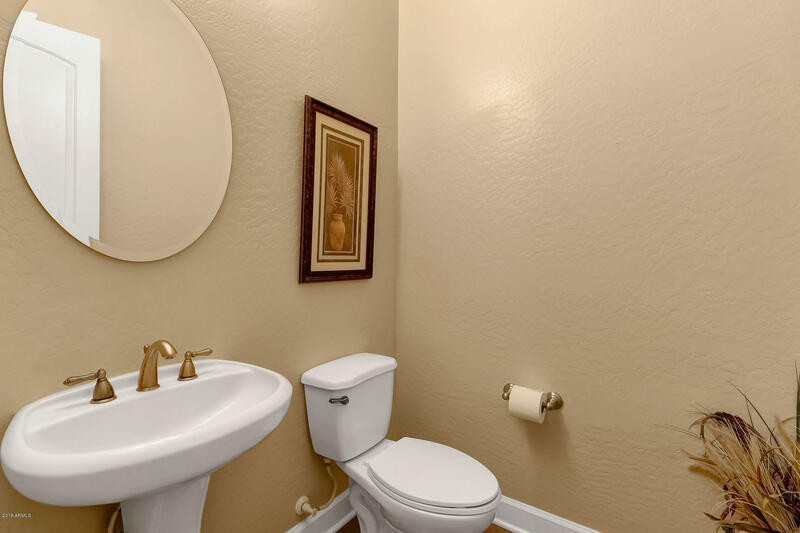 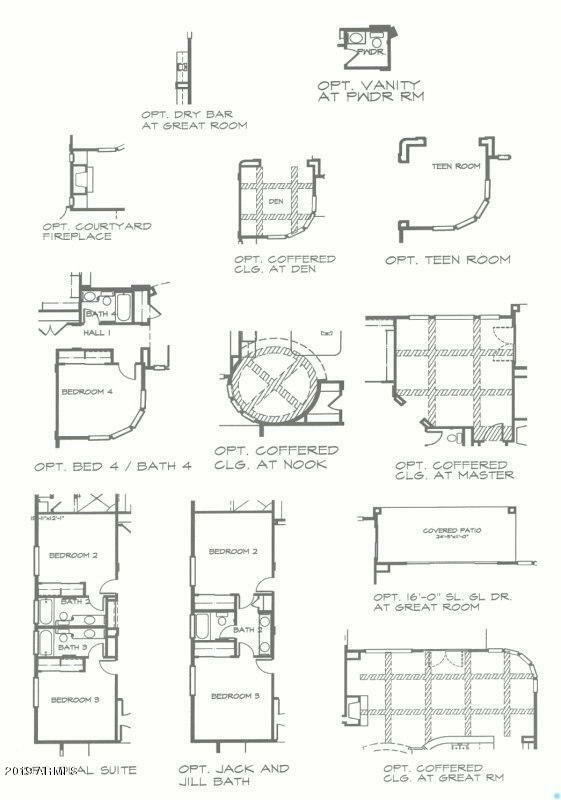 Owners suite enjoy a encased soaking tub, snail shower, vanity dressing dual closets & private exit. 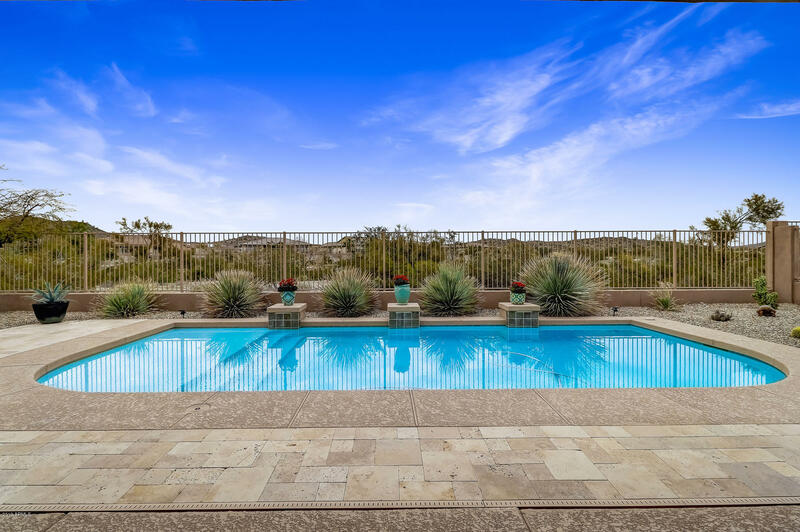 Backyards pool views are a must see today. 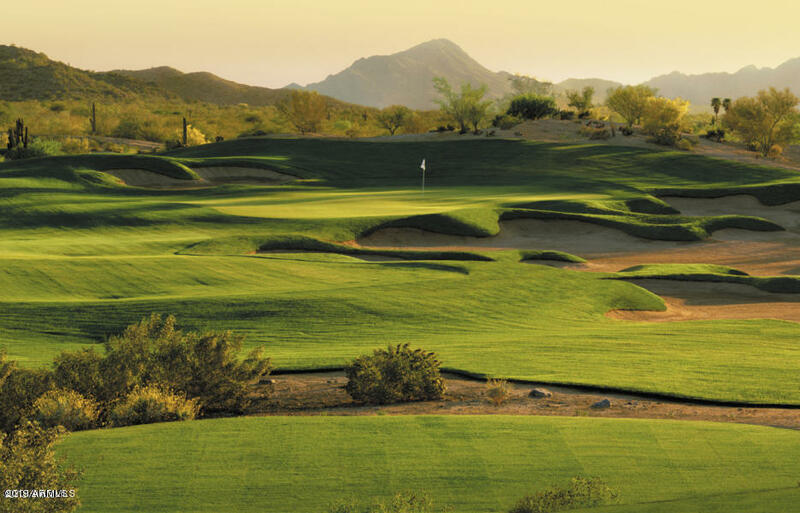 West onto Westar - Right into The Fairways: Thru gate, right onto Sidewinder; Left onto Narramore.